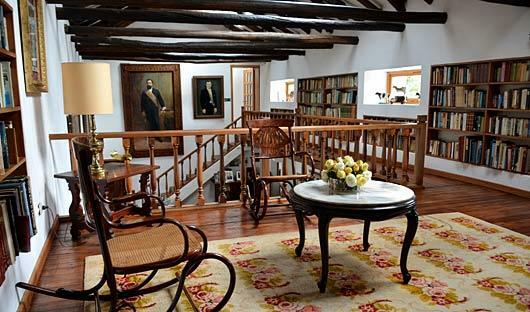 Hacienda Zuleta is a colonial working farm of some 2,000 hectares, it dates from the late 16th century and for the past 100 years has belonged to the family of Mr. Galo Plaza Lasso, a former President of Ecuador and it is still the Plaza family home. Now a small number of guests are welcomed into the home and have the opportunity to explore the farm, taste some of its produce and to learn about the family history. 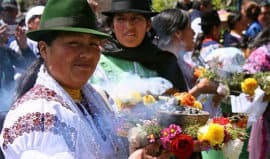 Community is still very important at Zuleta – the former presidents were the driving force behind Ecuador’s land reforms – giving land rights to people throughout Ecuador. 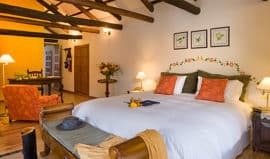 You will be welcomed into the hacienda as a guest of the family and the charming rooms, each with its own fireplace and decorated with antiques and original family pictures, add to the homely feeling. 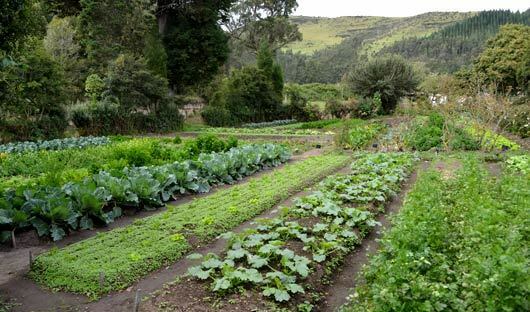 Delicious home cooking and regional cuisine is offered every day, prepared with organic vegetables, trout and dairy products produced on the farm. 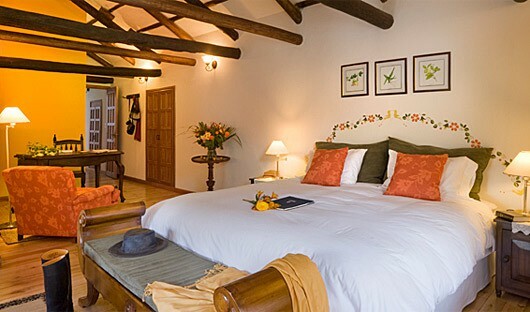 You can wander the beautiful gardens at your leisure, visit the hacienda’s cheese factory and spend time with the local women at their embroidery workshop. 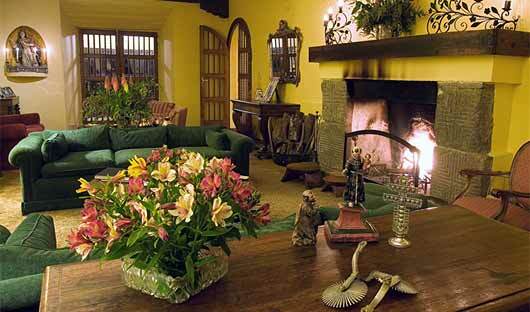 The house itself is wonderful, libraries of books, family photographs and beautiful paintings. 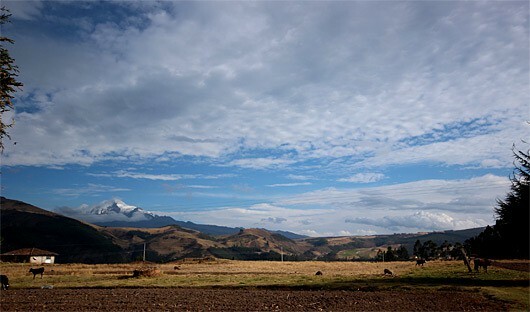 Outside there is a cobbled courtyard and gardens that lead to the horse trails and walks into the hills above the farm – offering stunning views across to Cayambe volcano. 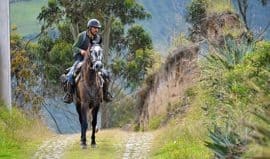 Hacienda Zuleta is a very worthwhile addition to any trip to Ecuador – to truly experience the Hacienda lifestyle we suggest a minimum of two nights, ideally three, and it’s less than two hours from Quito airport and only 40 minutes from Otavalo. 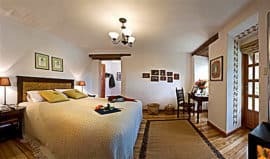 To include the Hacienda Zuleta into your tailor made itinerary contact South America Travel Centre on 1300 784 794 or contact@satc.com.au. 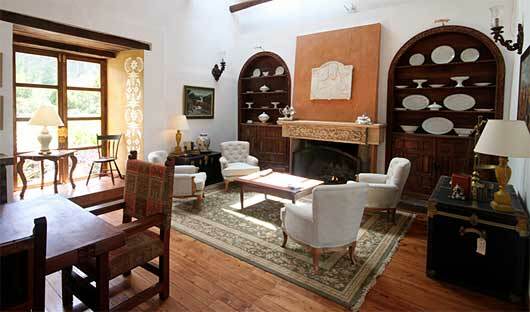 As Hacienda Zuleta was formerly a country house when you enter the property you feel like you have stepped back in time. 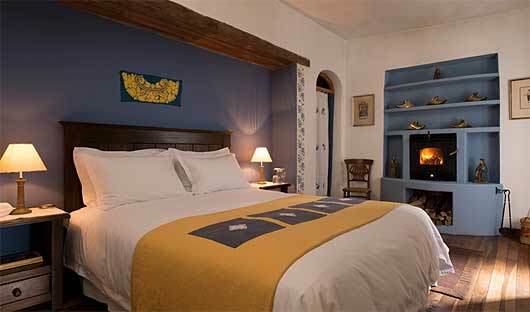 The rooms have all been maintained and are furnished with antiques collected throughout the years. Each room has a cosy fireplace creating an ambiance that makes you feel right at home. Some rooms offer private gardens and terraces for you to relax and enjoy the serenity. King size bed or twin beds, sofa, desk, cupboard and luggage racks. Queen size bed or twin beds, desk, cupboard, two luggage racks. Queen size bed, desk, shelf or draw, hooks, luggage rack. 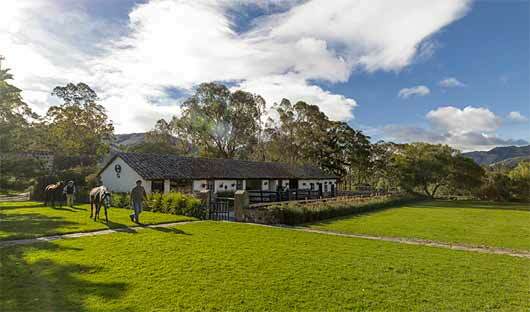 For more information on Hacienda Zuleta and to make a booking, call 1300 784 794 or email contact@satc.com.au. 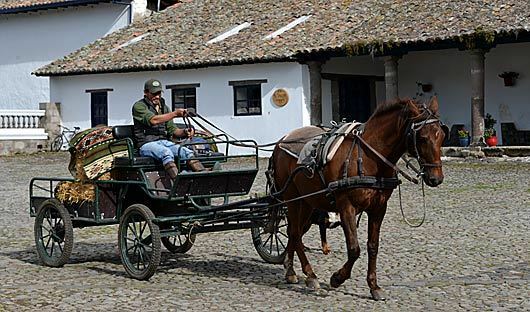 Hacienda Zuleta is known for its Zuleteño horse, a unique mixture of Spanish, Andalusian, English and Quarter horses to produce a robust, noble and smooth horse with an excellent disposition for trail riding. There are many trails to explore. 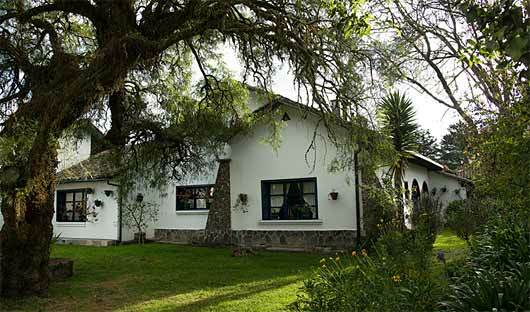 Hacienda Zuleta is the perfect location for hiking and trekking. There are many options for all fitness levels. 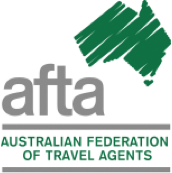 You have the choice to go with a local guide or explore on your own. 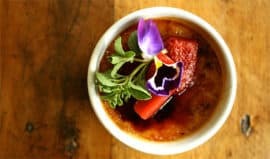 Enjoy authentic Ecuadorian cuisine prepared from ingredients grown at Zuleta, fresh milk and cream from Zuleta’s dairy cows, cheeses produced nearby, Rainbow trout from local fishermen and breads baked from wheat harvested on the Hacienda. Mountain bikes and helmets are available to use to explore the many trails that are perfect for biking. If you like you can be driven to the top of the hill nearby so you can enjoy a downhill ride back to Hacienda Zuleta. 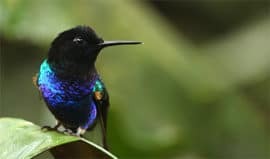 Ecuador is renowned for its incredible bird life and Haceinda Zuleta ensures many species of birds can enjoy the grounds nearby through conserving the natural habitat surrounding the Hacienda. Unique bird watching tours are available with knowledgeable guides pointing out various native species. The G. Plaza Foundation, established in 1995, is a not for profit organization administered by staff at Hacienda Zuleta, that sponsors projects conceived to improve overall living standards of the community of Zuleta and areas within the province of Imbabura.